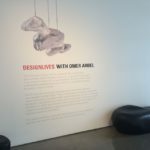 capped off a busy week in New York City as the final event in NYCxDesign, a citywide celebration of design. 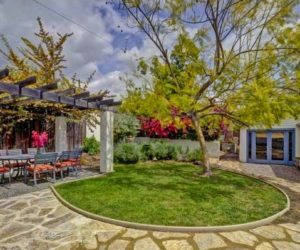 As always, there were plenty of new furnishings, fixtures and accessories to delight every buyer and decorator. Here are some of the things that caught Shumatsu Distortion’s eye, which include some from perennial favorite brands along with new finds. presented this sofa called “Mellow.” The look is sleek and modern, and it comes in a number of spectacular colors. It uses a medical-grade memory-retention fabric and a special design that incorporates cords beneath underneath. 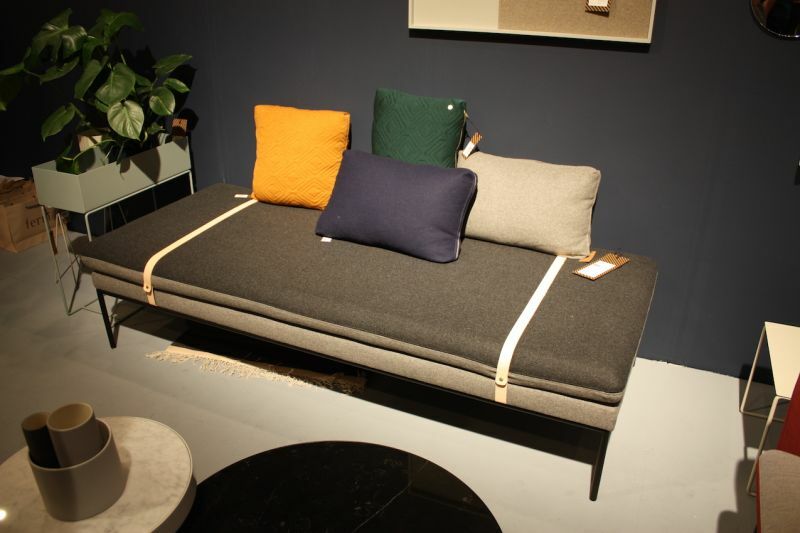 They add a special design detail and help the sofa adjust to those sitting on it. This is the Camp chair by . We love how it is a sling chair ensconced within an armchair, and the colors give it a casual, relaxed feeling. 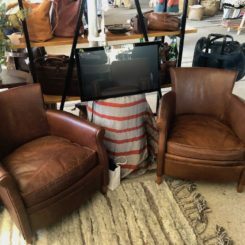 The Innovation C upholstered swivel chair by is lots of fun because you can sit on it in any direction. 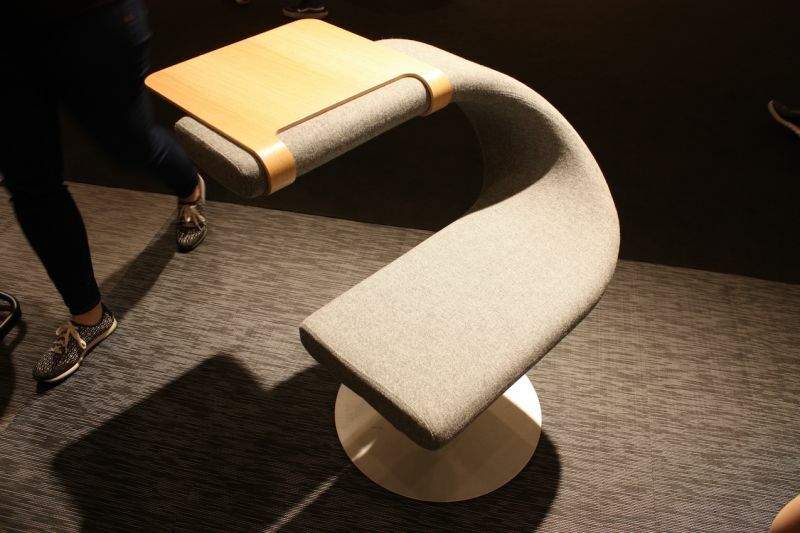 Straddle the seat, sit facing the table, or pull off the table attachment and use the arm as a backrest. 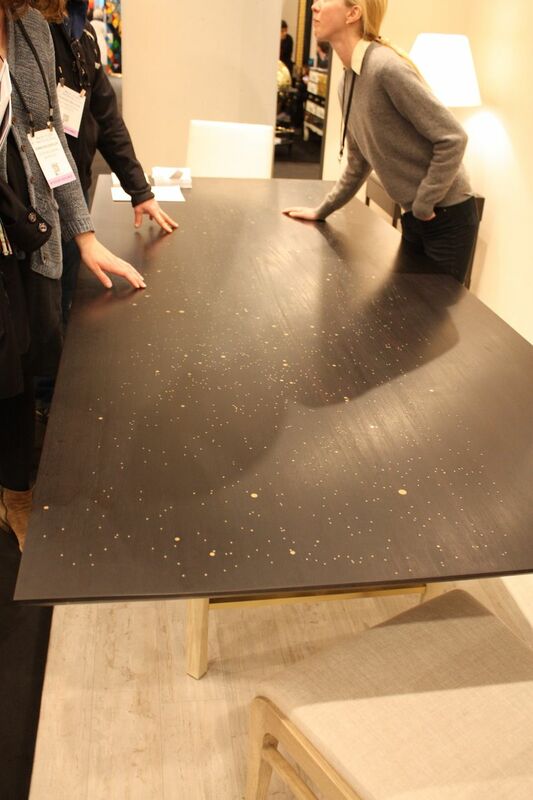 We first thought that the shrinking of round metal inlays in this gorgeous table by was just that — a random sprinkling. Come to find out that the varied dots of metal are actually representations of a star map, which only makes the work more spectacular. Israelow’s tables are star maps of specific dates and this one is of the night sky on the date that Albert Einstein discovered his theory of relativity. 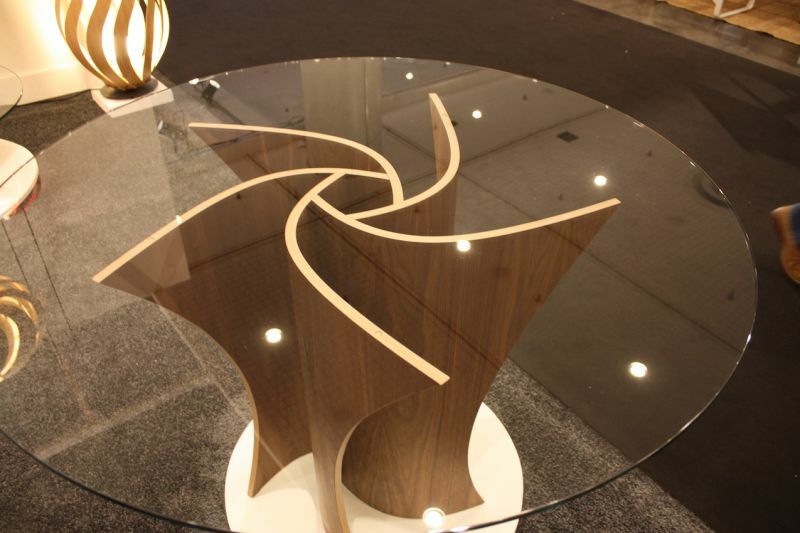 Crux coffee table is a sensuous piece of sculpture. The two pieces nestle together to form an artful table base that would be fitting for a modern or contemporary room. 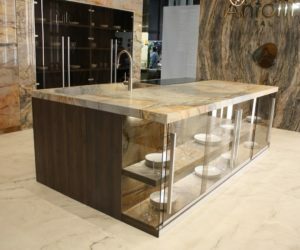 It is made of solid Ash Wood covered with a matte lacquer finish. The interesting straps on “Turn” daybed aren’t the only detail we fell for. 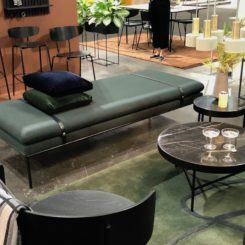 The top cushion of the daybed — and the matching sofa — is made with two colors so you can change up your decor with minimal effort. One of new dining chairs has this interesting X shape on the wood back. 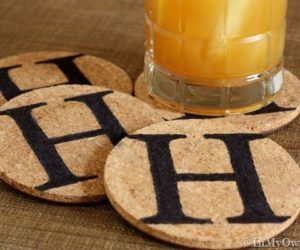 Considering that you most often see the backs of your chairs around the dining table, we think this is great. 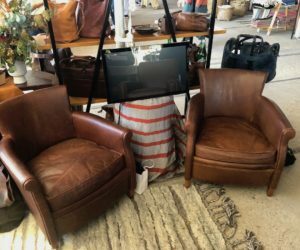 These chairs represent beautiful Brazilian design through their rich wood and sumptuous leather. is the exclusive distributor of work by Brazilian designer Aristeu Pires in the United States. 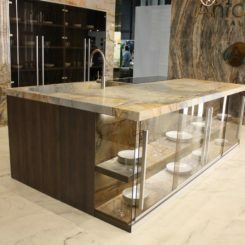 While relatively new on some areas of the U.S., Brazilian designers and products are becoming well known in the Miami area. 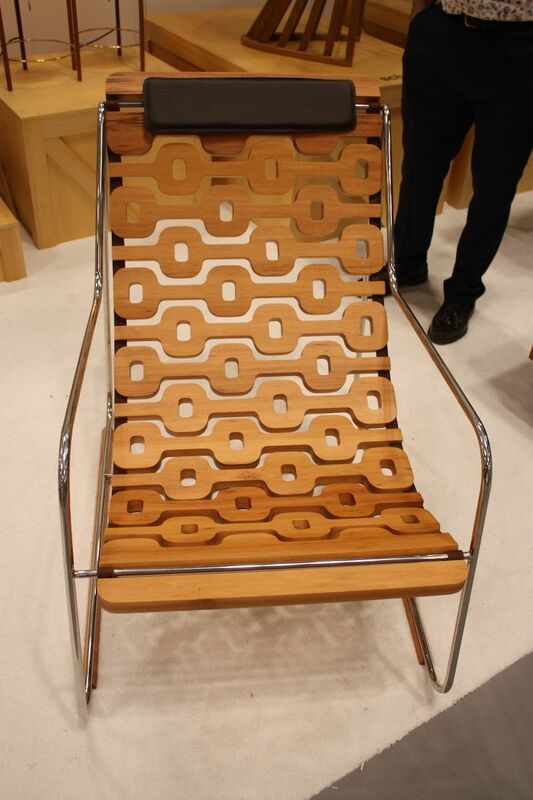 If you like to change your decor frequently, these chairs by Twist might be right up your alley! In just a few seconds, you can slide out the side panels of the chairs — as well as their tables — and insert a different design. This easy and conformable Ipanema chair from Latoog was inspired the pattern of the stone pavement at Ipanema Beach in Rio de Janeiro. 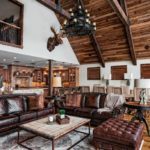 It’s made of solid wood and leather strips. While it’s not a new design, the geometric pattern is really compelling. 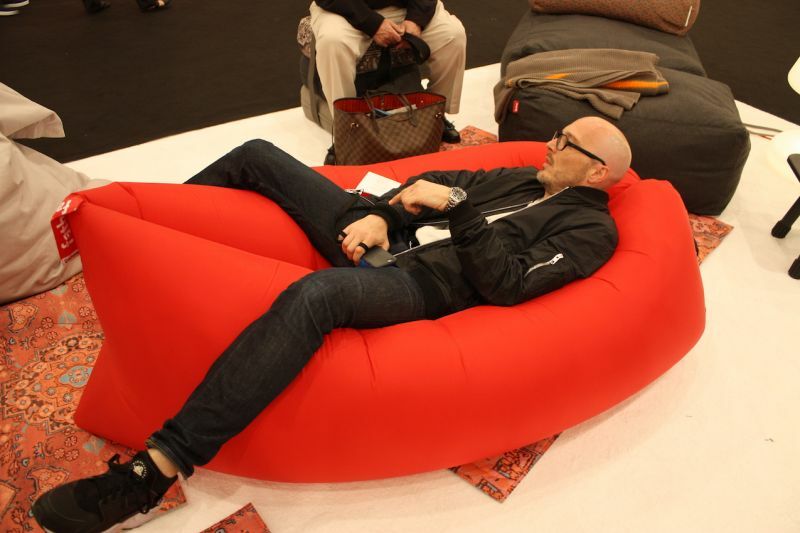 We’ve seen the video all over Facebook, and it was pretty cool to see the Lamzac® in person. highly portable and packable lounge is all the rage. You just swing the lightweight bag to fill it with air. When you’re finished relaxing, just roll it up. The verdict? Really comfy! This bench by was a real eye-catcher. The viking feel drew using, which makes sense — it’s called the Rib Bench. Inspired by the runs of a whale, the bench has vegetable tanned leather straps that are sewn with lovely detail. 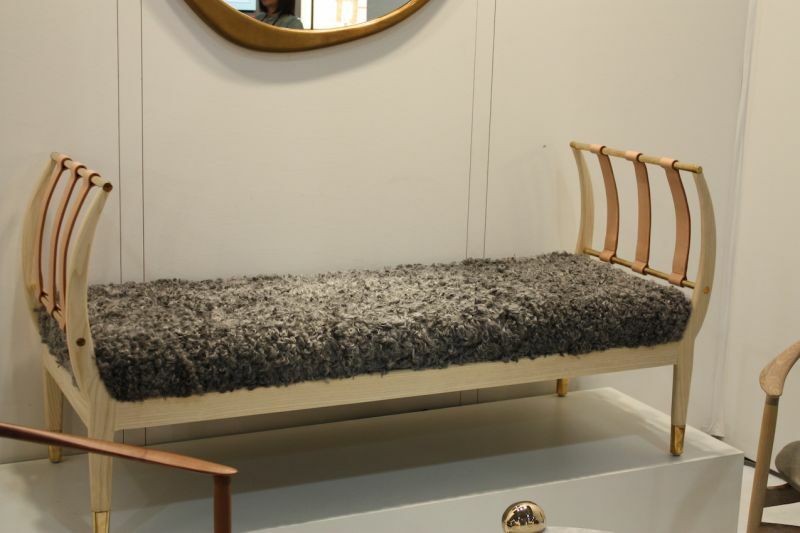 The handcrafted piece is upholstered in a cozy gotland sheepskin, hand-loomed wool and mohair textile. 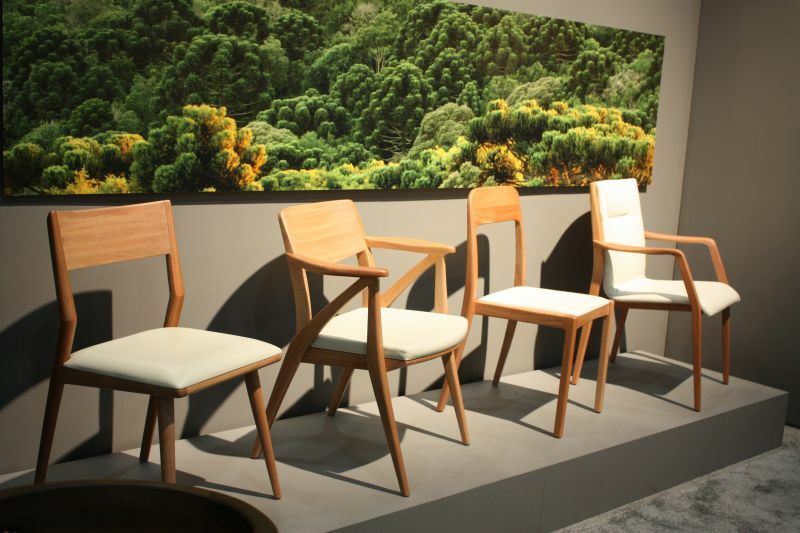 We went wild over these “Cleo” chairs In the Italian Luxury Group exhibit. 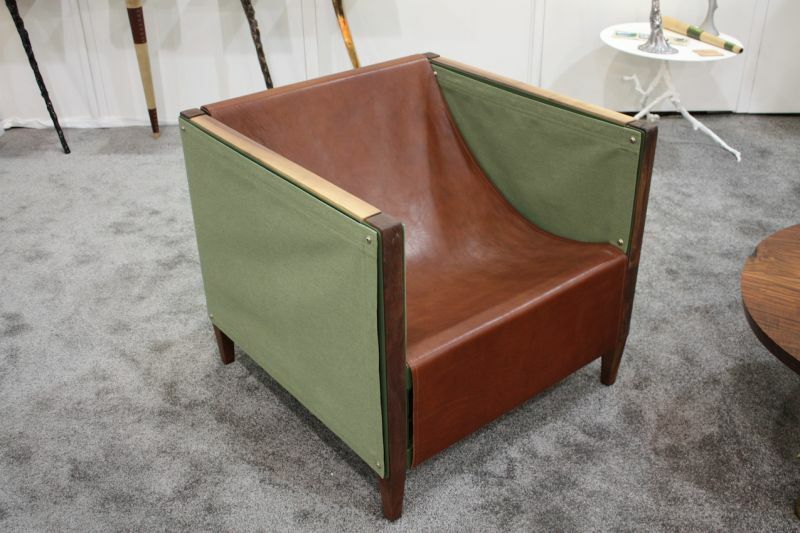 The minimalistic throne-like shape is paired with the bright upholstery in a very modern piece. 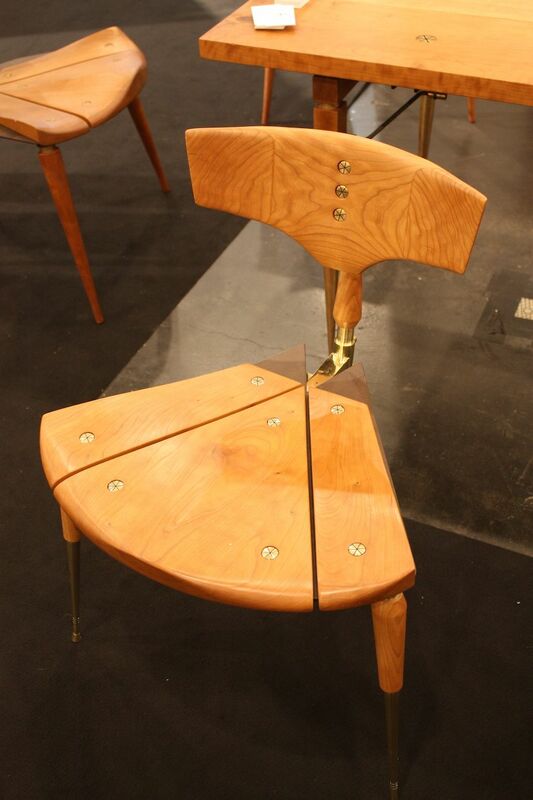 this is probably the coolest wooden chair we’ve seen for some time. The Flower of Life chair by has a unique triangular seat made of three pieces. The wood is beautiful but the hardware is what really makes this special. 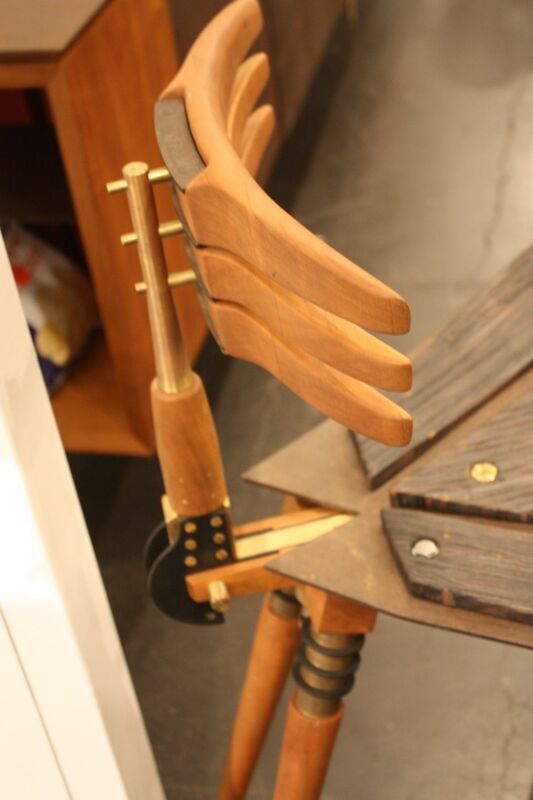 The unique hardware construction of the chair is truly amazing. 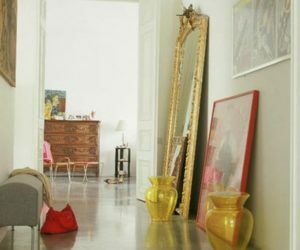 Lifestyle presented its ACRILA Collection, which is made in France. 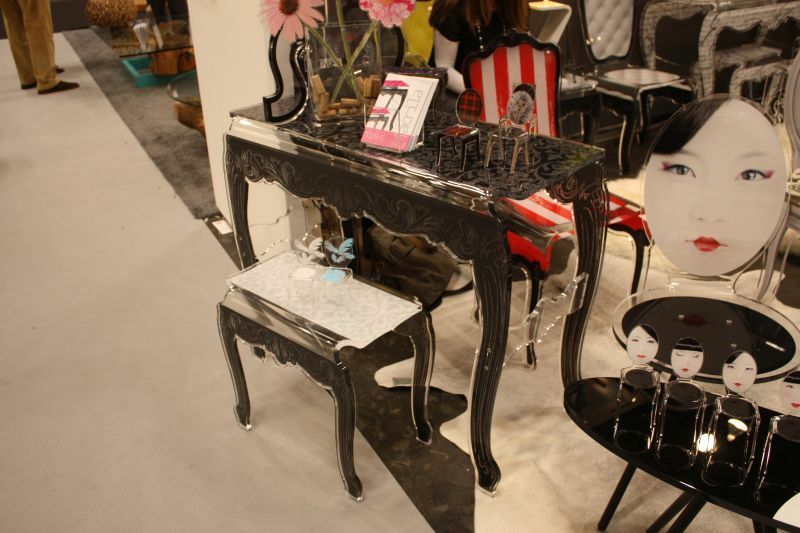 All the acrylic pieces – from chairs to vanities to tables and fancy dog beds, are fun and whimsical. Toobre’s pieces may be fun but that doesn’t mean they aren’t luxe. This vanity would be perfect for any high-end bedroom. 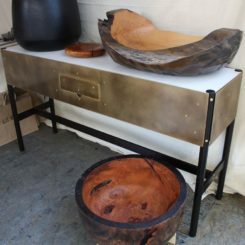 We immediately fell in love with Wendu’s up-cycled furniture from Africa. 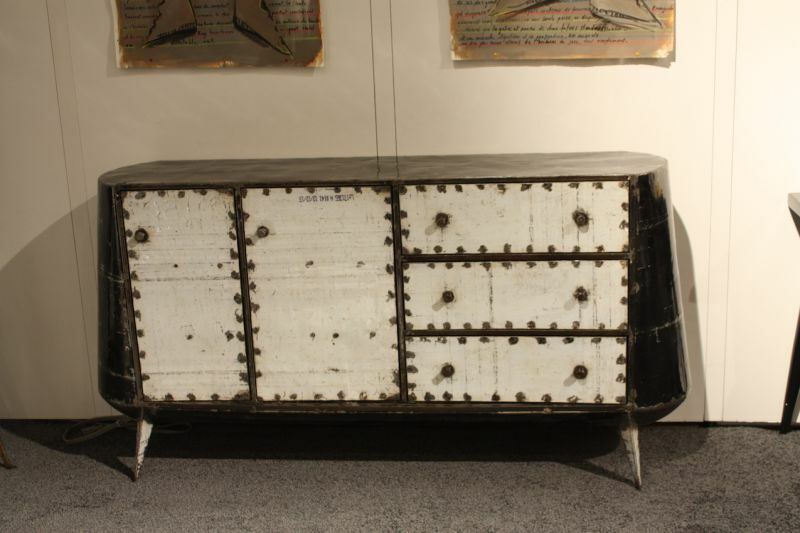 All their pieces — like this credenza — are created from scrap and have an artsy, industrial feel. The brand is opening a New York showroom. We were already fans of for their lighting, but are now also crushing on this table. 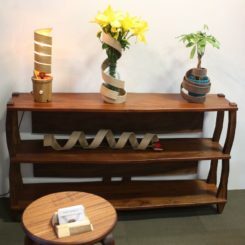 The spiral design if this table base is stunning, and even more so when you find out that each piece is made of 29 laters of wood. 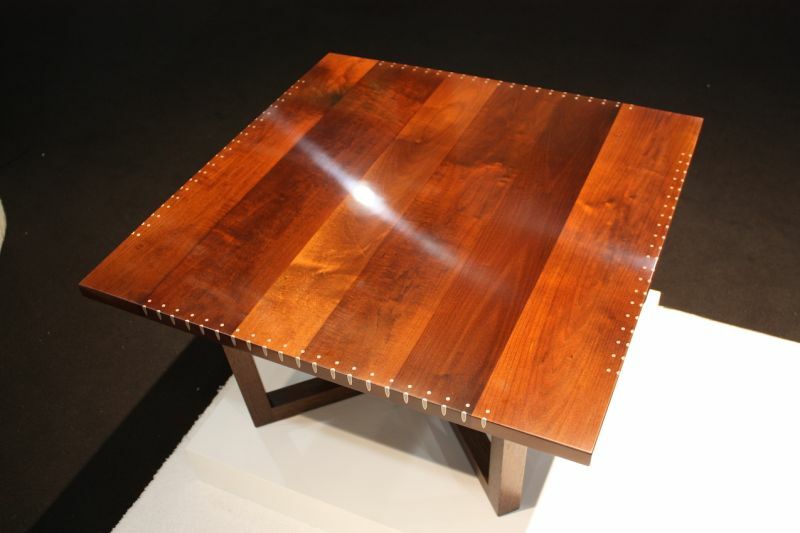 Designer Peter has take a woodworking problem — bullets in wood — and turned them into an art form with his bullet tables. Using real bullet casings — just like the ones that woodworkers often find lodged in the wood from old trees — he fashions incredible designs like this one, edged in bullets. 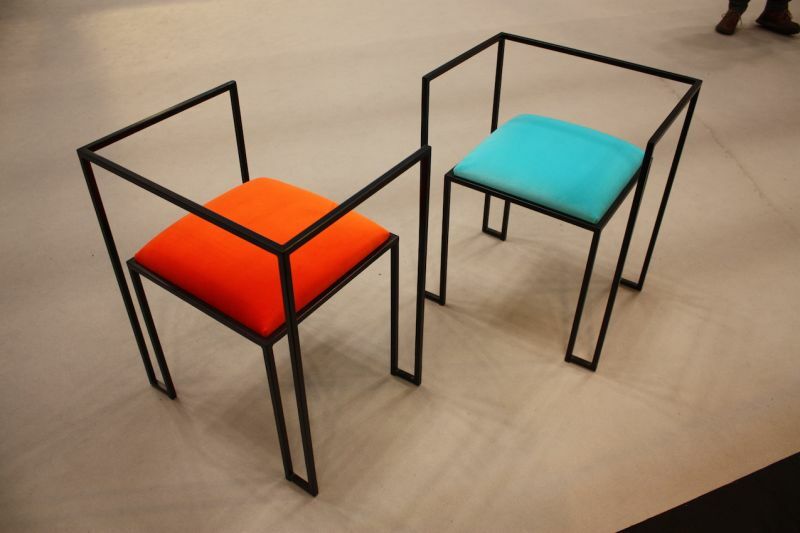 Metalsmith creates these unusual sculptural furnishings. 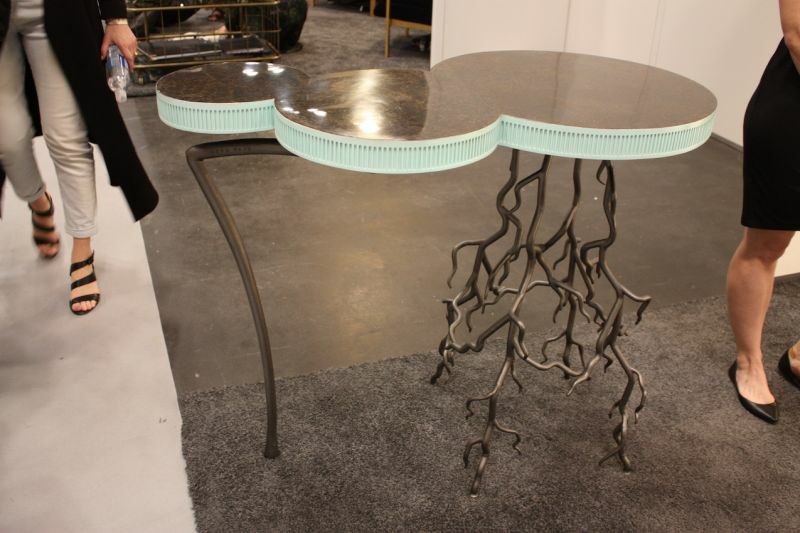 This table has one side that resembles a large bold of lightening with many arms. At first we thought it was glass — it’s acrylic! 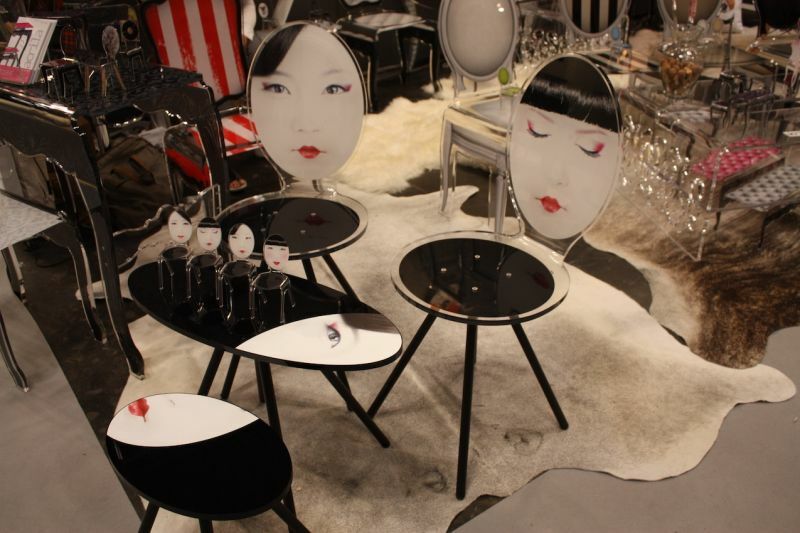 creates hand painted acrylic (and glass panels) that are dazzling dividers, furniture planets and table tops. We like them because the pieces are as dazzling as glass but lighter more manageable. 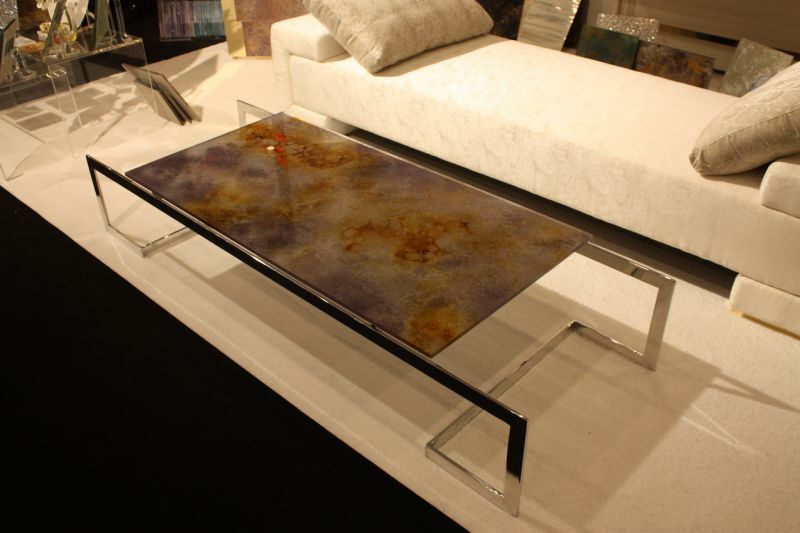 The “Fling” coffee table by is modern and futuristic with a soft edge. 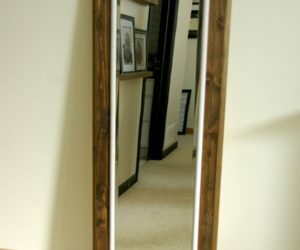 The curvy wood and oval frosted glass keep the piece from being too cold. gorgeous Piedmont Chest design comes from book matching the wood that has a fantastic, almost butterfly-like grain. It is pepperwood burl with mahogany detailing. 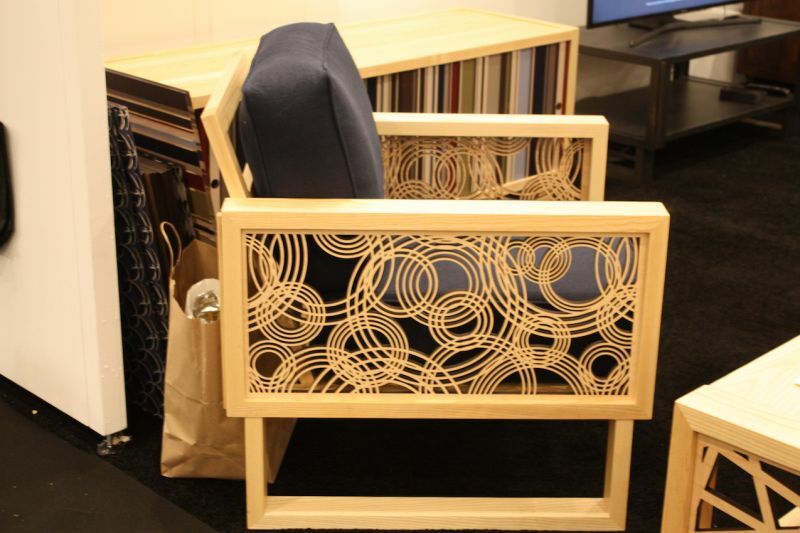 modular Scandinavian storage is versatile and interesting thanks to the mix of finishes and sizes. There was so much cool lighting at ICFF that we hardly]y know where to begin. 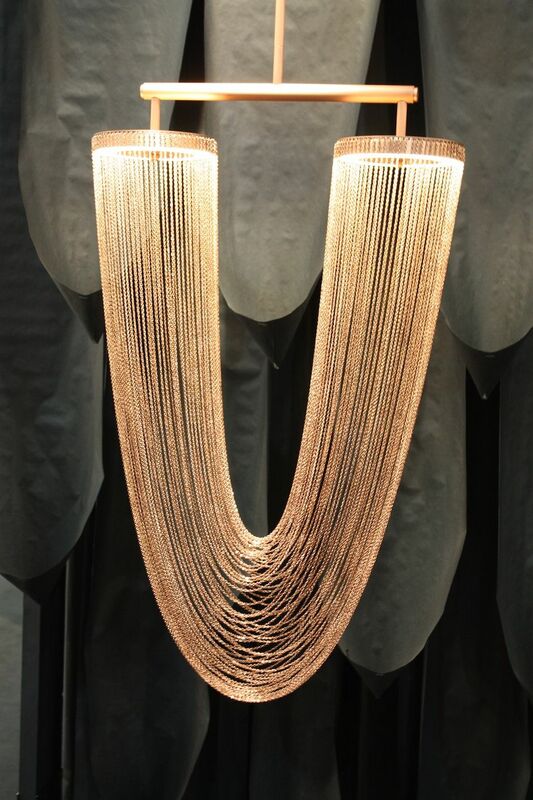 This fantastic chandelier by Bover Barcelona Lights was one of the most shared on social media. 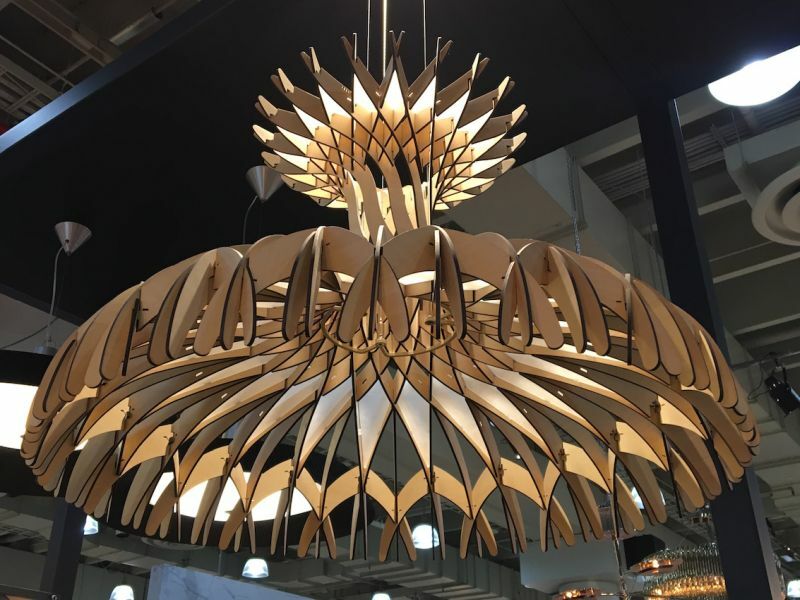 The Dome 90 pendant is made of more than 170 wood fragments are intertwined and sewn together one by one. 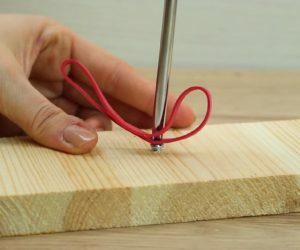 We’ve always hated plain electrical cords, so maybe that’s why we like the so much. 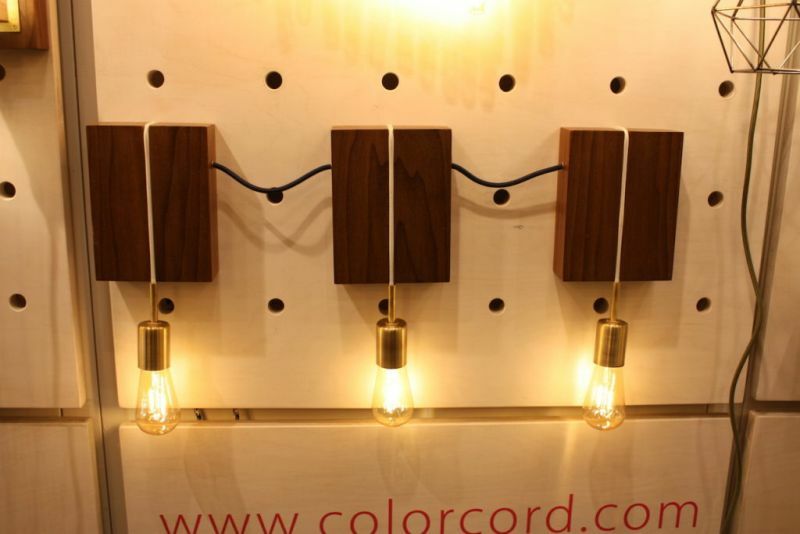 Pendant lights are made even better when connected with a complimentary cord. 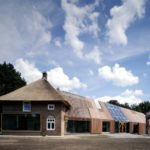 the company works with designers, manufacturers as well as DIY-ers. There’s something so silly about a giant desk light like this – but we love it. 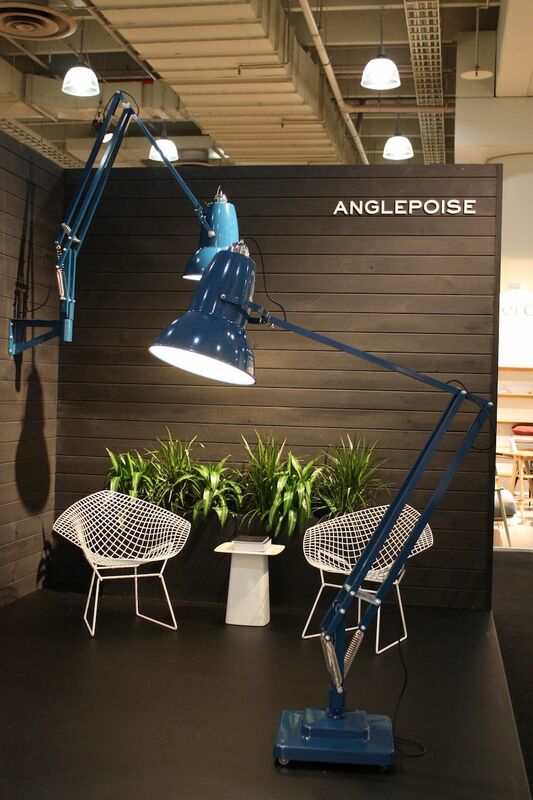 The British company has taken a really functional lamp and made it work on a large scale. It’s just plain fun. And it comes in pink too. 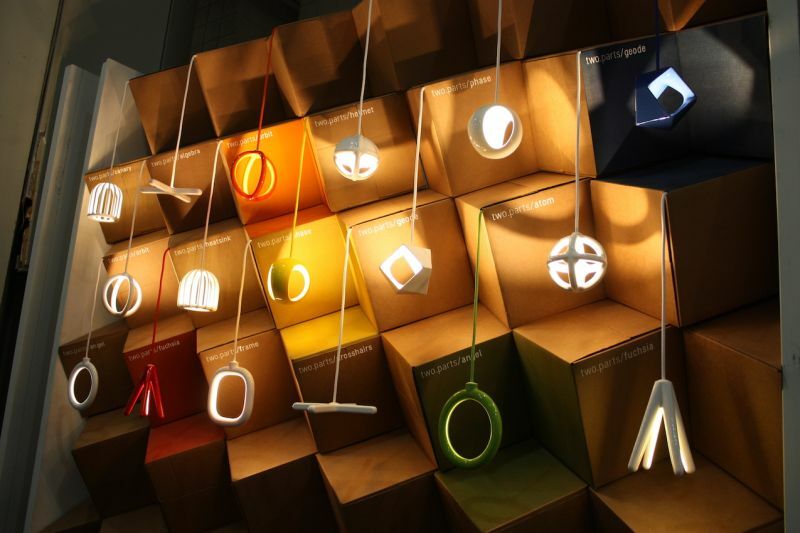 When lit, the new wall mounted lighting pieces, look luminous — and not at all like wood. When turned off, they look like a wood wall sculpture. 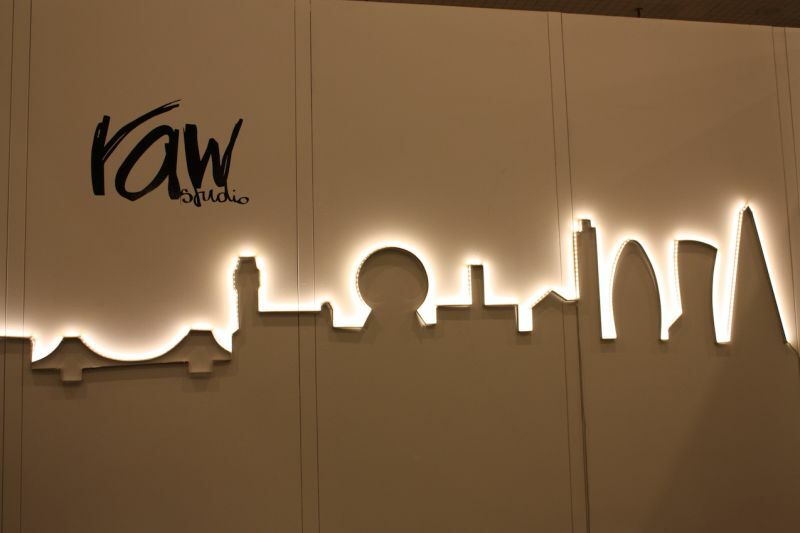 This lighted skyline from draws you in from across the exhibit hall. Stunning in its simplicity, it’s a beautiful statement. 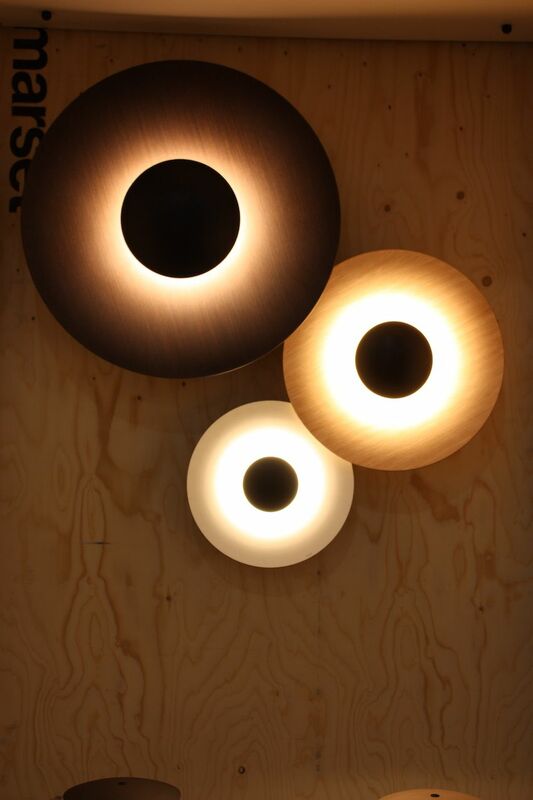 The UK-based studio also create a unique Luna light, that appears to have texture and looks like the moon. 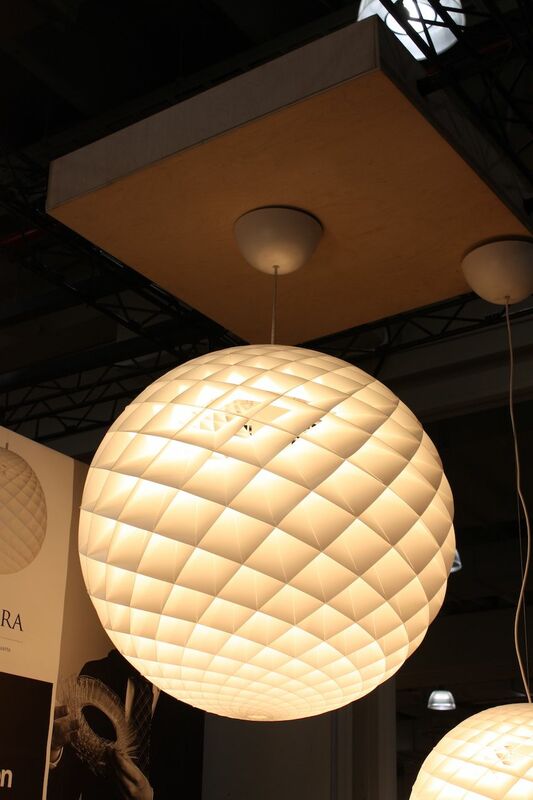 Dramatic in all its sizes, the Patera globe pendant from Louis Poulsen is simply gorgeous. It is made of small diamond-shaped cells, which seem to glow. It is made primarily of PVC and polycarbonate. 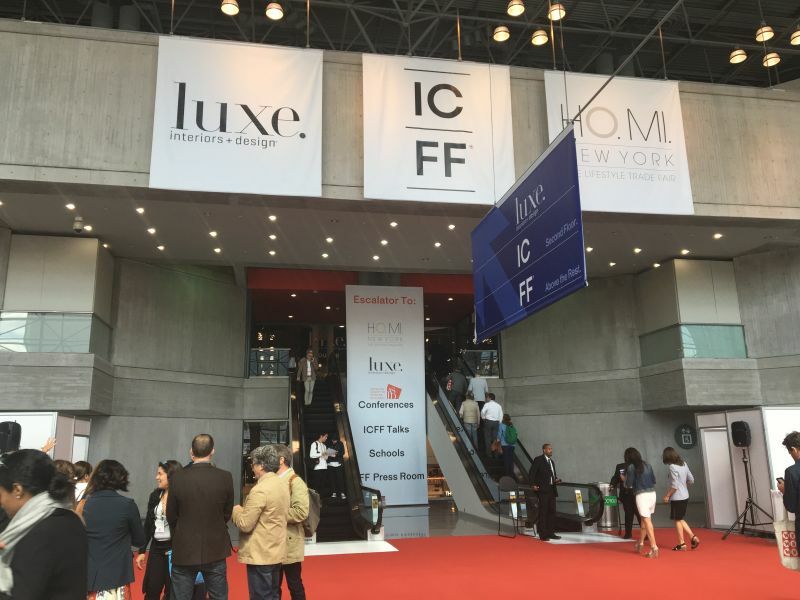 We’re always excited to see what the designers from the Philippines have brought to ICFF and 2016 was a treat! This dramatic lighting from Zarate was a big draw. Clouds of shredded stainless steel illuminated from within are mysterious and enticing. In fact, this was the international debut for the brand’s designer, 22-year-old Jim Torres. UMA light is more than just that: It’s a bluetooth speaker too. 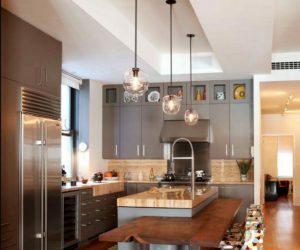 You can set the mood in more ways than one with this glowing fixture. Last year we were quite take with NanoLeaf’s funky lightbulb. 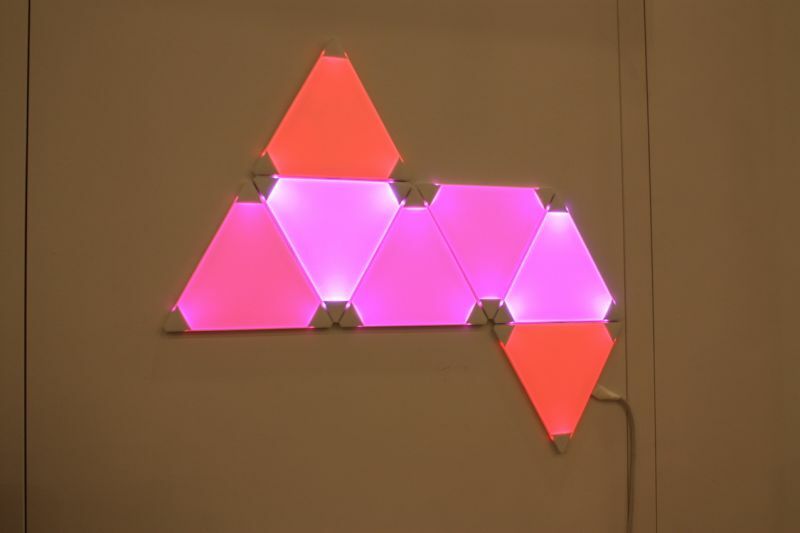 This year, the company unveiled these LED light panels that can be combined into any design, and controlled from an app, changing the colors manually or automatically. This would be especially fun for a kids room…or our own living room! 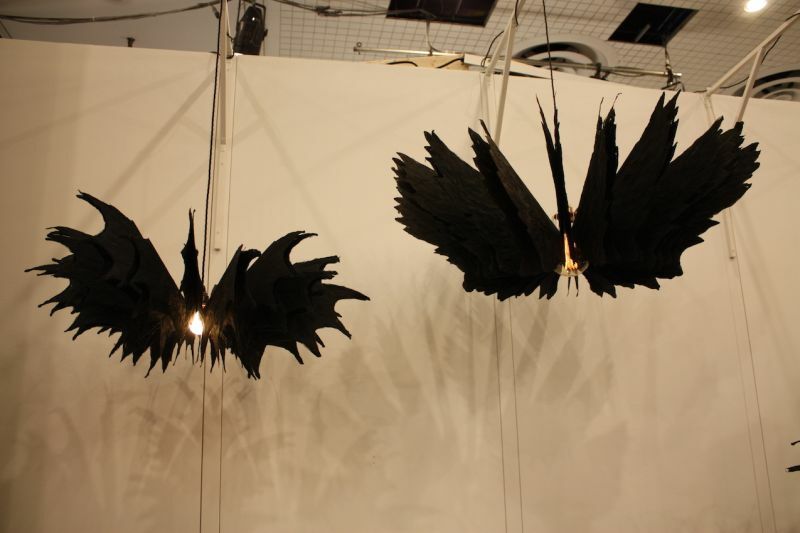 Dark and gothic, these spectacular lighting fixtures from mesmerize you with their slight motion. the simple act of walking past them set the wings into motion, circling one way, then the other. Called “the crow,” they are made of handmade mulberry paper. Love Me Not Light fixture is made from five layers of hand-formed, porcelain-finish acrylic. It can be suspended singly in a cluster. 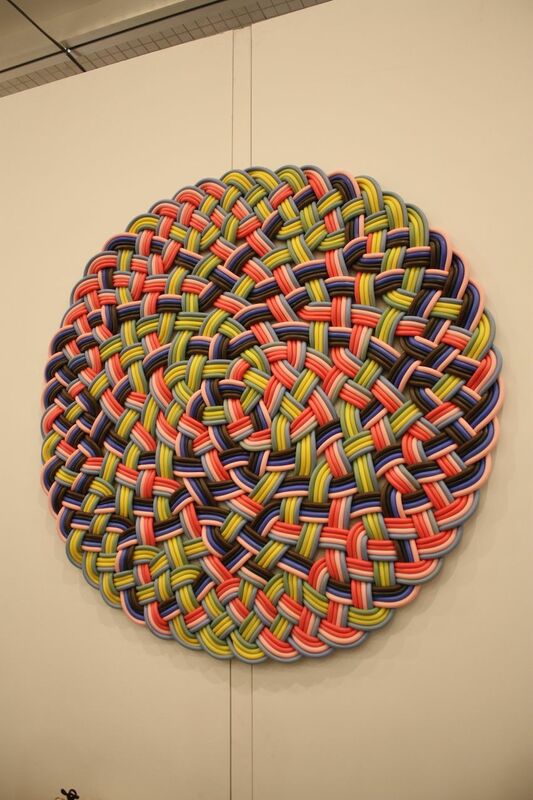 Artist Pascale Girardin was inspired to create it by childhood memories of picking petals off a daisy. 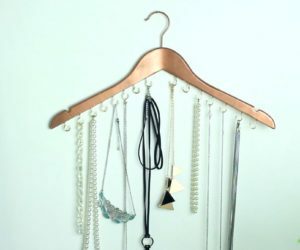 The small Otero by is simply a sensuously draped collection of copper plated chains, gorgeously it from within the ends. What more can you say about something so beautiful? Like a massage for your feet — these rugs by are colorful and puffy! The woven tubes are soft, squishy and waterproof, which may them perfect for indoors or out. You can always count on to have a stunning marble basin design and they did not let us down. 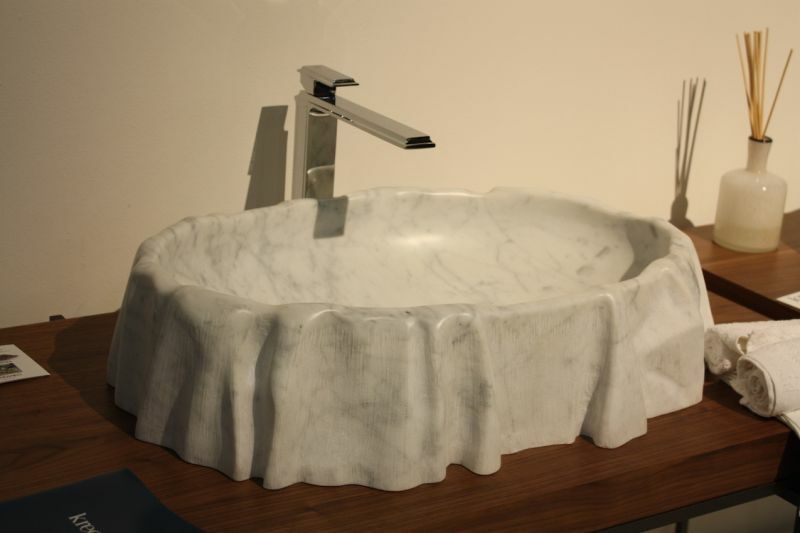 The Nami washbasin looks as if it is draped with a marble cloth. The realistic folds around the basin are so realistic. 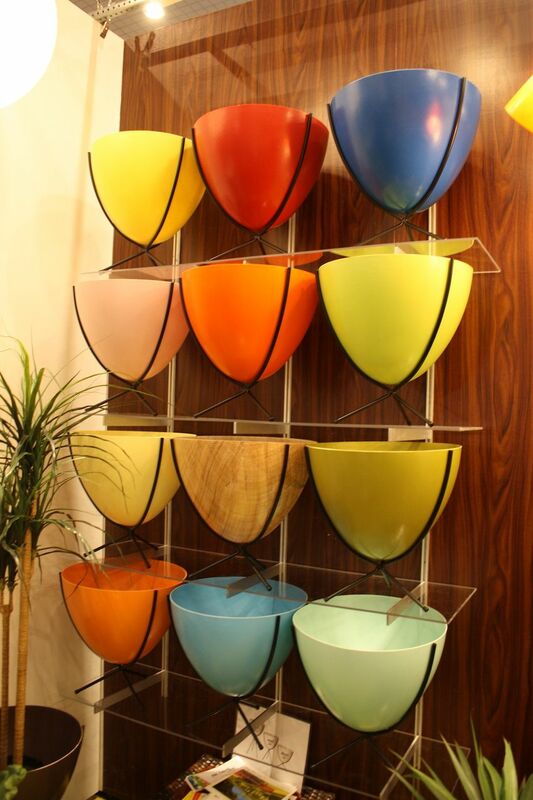 was introducing new light fixtures this year, but we’re still smitten with their colorful pots. 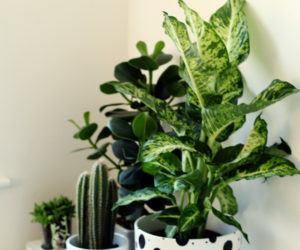 Their retro bullet planters come in different sizes and colors. We love them all! 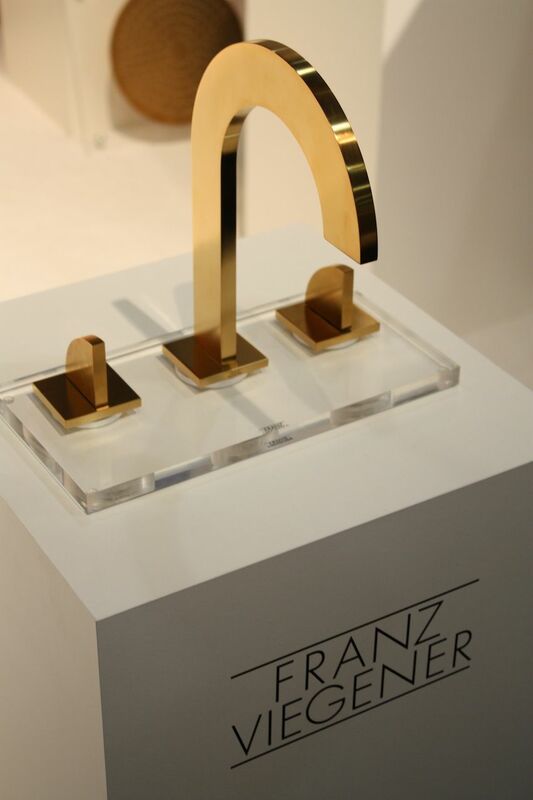 was one of a number of fixture designers offering truly unique hardware for the home. This set is called One and a Million. 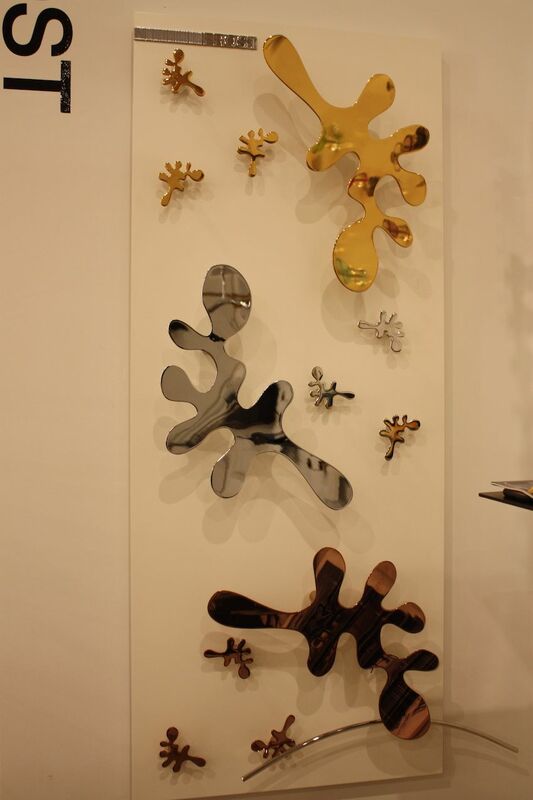 Another was , which presented these metallic splotches that are actually clothes hooks. 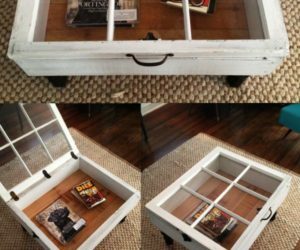 The inkblot style is really cool and the different protrusions allow you to hang different sized items. 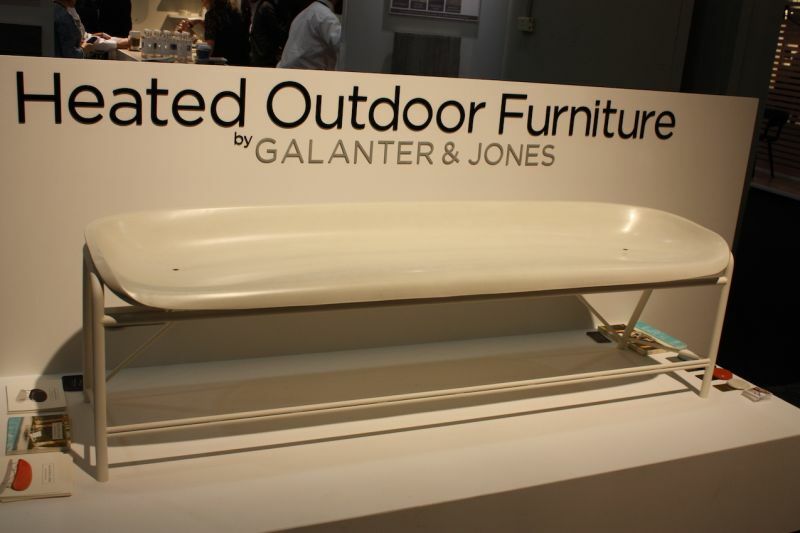 A favorite from 2015, Galanter & Jones were back with a new design in their heated outdoor furniture. This bench is more upright and is meant to be dining seating. Sign us up for a winter picnic! 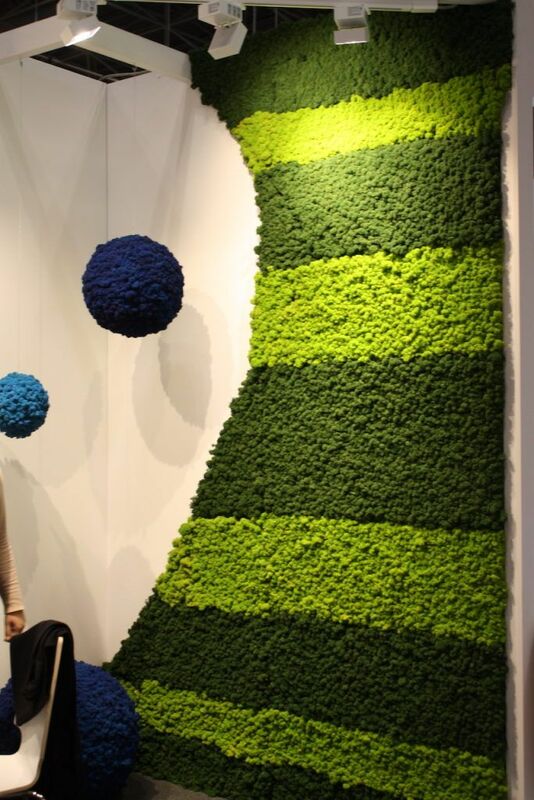 We’ve been itching to have a moss wall in at home and now we’re found the one we want. is sustainable harvested reindeer moss from above the arctic circle. It’s soft, color fun and maintenance free. 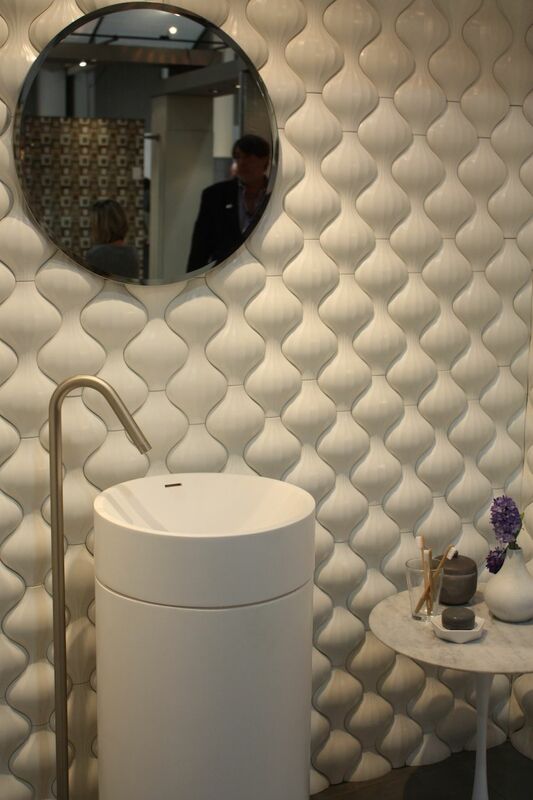 Bathroom fixtures were also around ICFF and we found some really interesting ones like this thin, flat one from called the Edge. 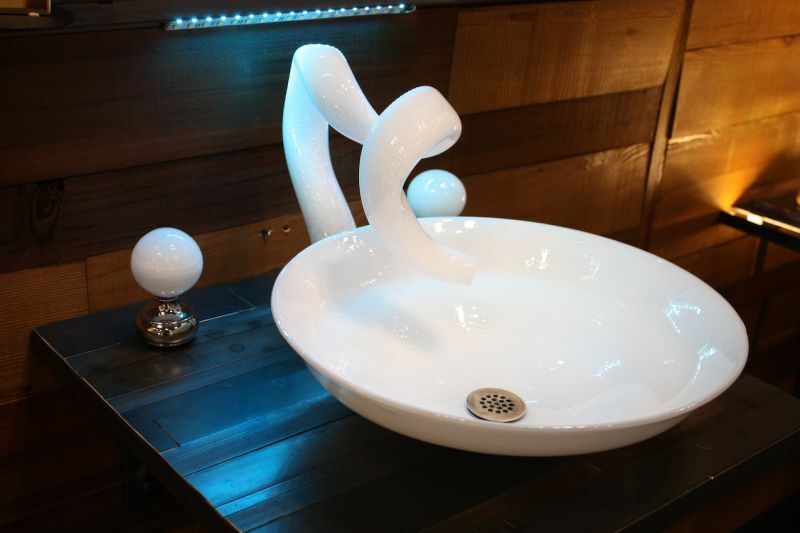 We’ve seen lots of embellished faucets and handles recently, but this is the most unusual glass faucet we’ve encountered. presented this custom, hand blown piece that will definitely get your guests talking. We’re suckers for texture and these tiles from have plenty to spare. Not only are they rounded but they also have a subtle texture. 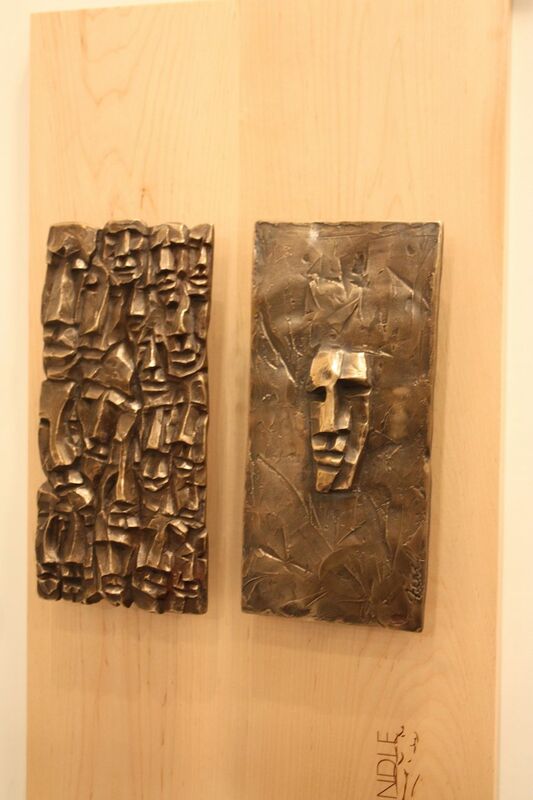 This is only one example of their lines that are sculpted and textured, giving a really special feel to your walls. 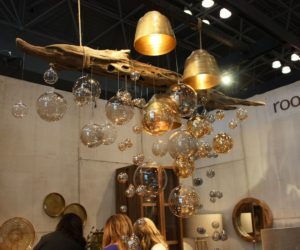 There were also plenty of accessories at ICFF. 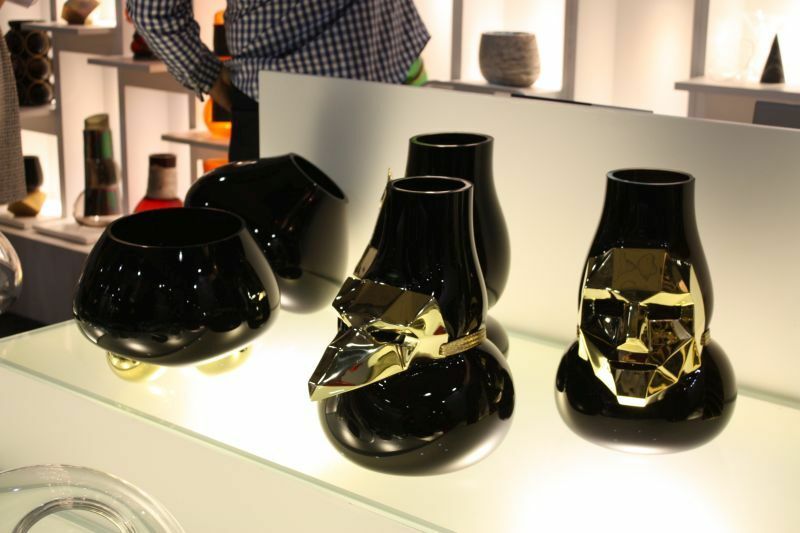 These glass vases from Vanessa Mitrani of Paris are part of her . 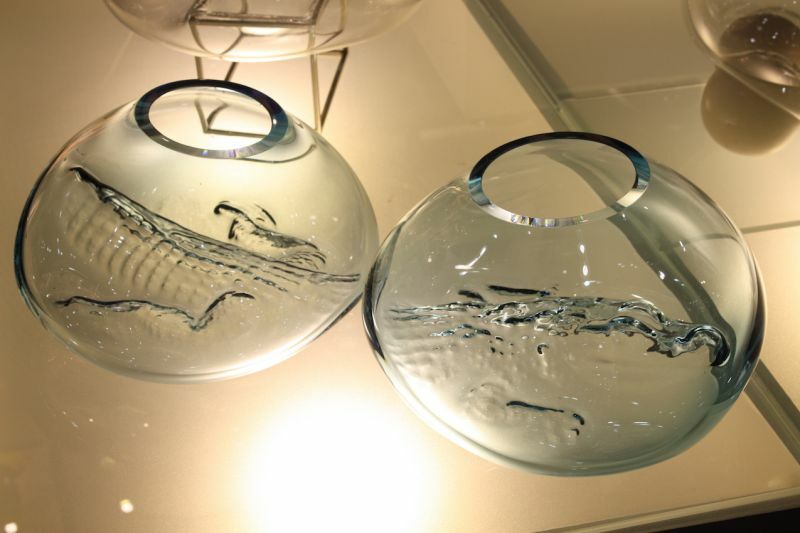 Mitrani’s glass works are truly stunning, This one, called mangrove, has a 3-D imprint of an alligator in the bottom of the bowl. This is just a sampling of the goodies Shumatsu Distortion found at ICFF 2016. 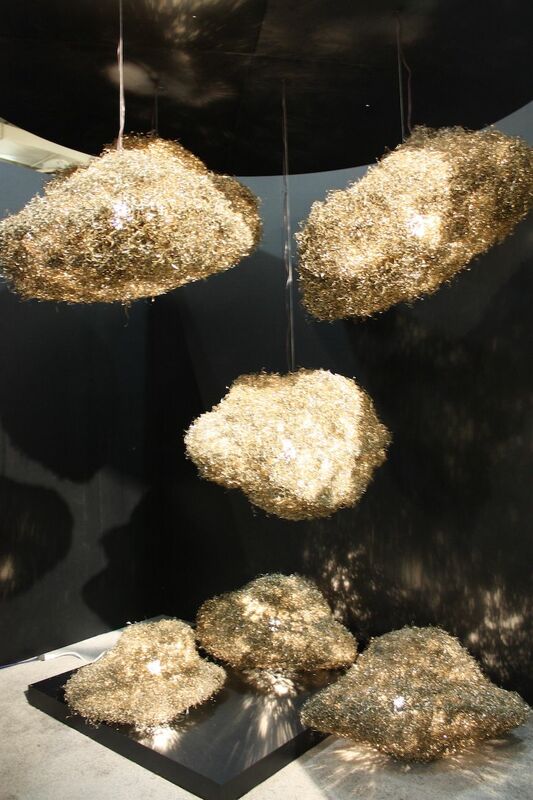 Keep an eye on the website for more pieces that made their debuts at the New York fair.